Help preserve a unique piece of history by joining The Cobblestone Society and Museum! For individuals, entitled to one vote at the annual meeting. Membership for families, including up to two adults and all children under 18 – entitled to one vote at the annual meeting. Membership for individuals wishing to increase their annual contribution, entitled to one vote at the annual meeting. 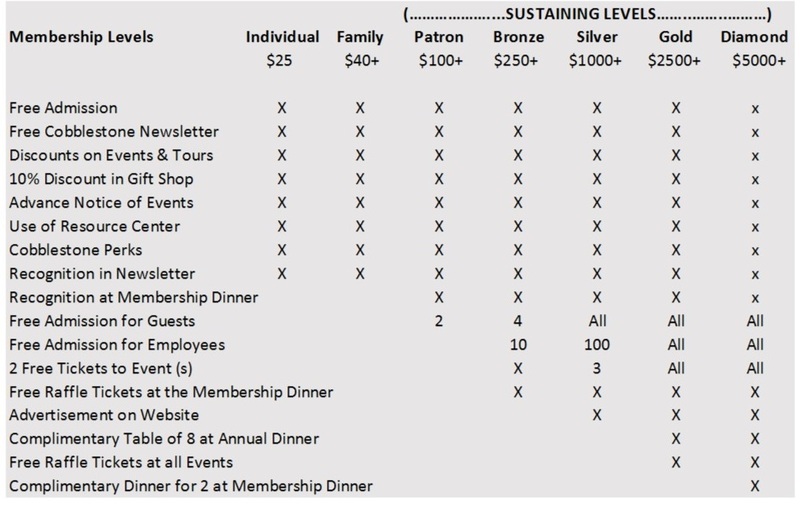 Membership for individuals and organizations wishing to support the Museum, entitled to one vote at the annual meeting.